Where do you see the main challenges for transportation in South Africa? If you take ordinary working people in South Africa, walking is a way of life, just because of their deprived economic circumstances. The big challenge is the dependence on cars of the middle classes. They are so addicted to their cars. They think if you take their cars away, you would take a part of their soul. And that’s the big challenge. We have to change the mindsets of the middle classes in our society, those who are better off. If we can win on that score we will make huge gains in this country, especially in the big cities where congestion is a major problem. 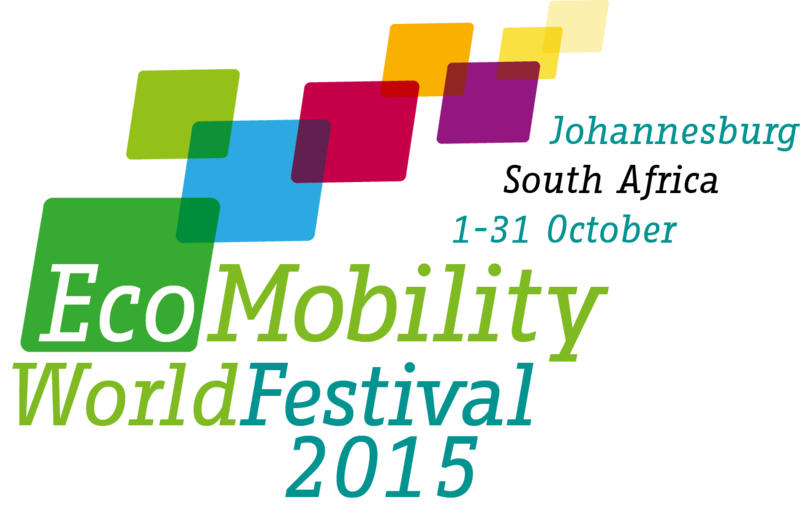 Can the EcoMobility World Festival bring any solutions to that challenge? This festival has really come at the right time. We have been talking about cycling, walking and non-motorised modes of transportation in all our public engagements and people have been cynical. This festival is taking place right in the heart of Sandton – this is where they work. Sandton is a symbol of the financial hub of our society, so to locate it there is getting the private sector to start thinking differently and to experience a new mode of transportation. For now I am quite optimistic. Why is it important to host the Festival in Johannesburg? We want to show that it can be done on the African continent. Both the challenges and solutions are not a European thing, they are there whether it is the first or the third world. We all have to begin to look after our planet, to look after the environment − and transport is the major contributor to carbon emissions, particularly in Africa. The idea of an eco-mobile future is not well-known in South Africa, so this is the first occasion that we are really beginning to promote the concept. I think there’s been a good reception from the public and at least the media is beginning to understand the concept. That is very important. What is the current status of public transportation in Johannesburg? The Gautrain has become a real alternative for people; it has become a visible sign of what a new, modern public transport system can look like. Bus Rapid Transit is now being rolled out all three metropolitan cities in Gauteng, so people are beginning to experience a different kind of transport system. I am confident in the next three to five years there will be a major culture shift. The taxi industry is currently holds 55 per cent of market share. They captured the market because of the historical circumstances of Apartheid, where the old Apartheid government did not really build the public transport system. Although they are a principal mode of transporting people, they are not the most reliable and efficient. What is being done in the Gauteng Province to foster EcoMobility? We have just completed our 25 year Transport Master Plan for the Gauteng Province. It is an integrated plan that looks into aviation, rail, road transport and public transport. A big part of the policy that we now have is promoting non-motorized transport, particularly cycling in cities. As a policy position we have said that over the next five years every city in our province must built 10 km of non-motorized transport infrastructure every year, so that in five years we have 50 km in the cities. Some cities are not getting there, but I think a good number of them are starting. And Johannesburg of course is leading. So in the next five to ten years we are going to see a better balance and a better integration between the minibus taxi industry, the buses, the Bus Rapid Transit, the rail and very importantly for short distances bicycles and other modes. What’s your message to the motorists? Our research shows that if we are experiencing traffic congestion now, in 25 years from now we will move at 15km per hour during peak hours. What’s the point of this? We have no choice. If you want to change and be more efficient, better organized in life and have more quality time with your family, then you have to look at either public transport or other modes of non-motorized transport!